Construct water wells in Haiti. Continue our ministry partnership in Monticello, KY with St. Peter Catholic Church by sending bikes, host a health clinic, send clothes & food. Continue our bike donation program. Our fundraising goal this year is $20,000. We need donated used bicycles to ship to Monticello, KY and Haiti! 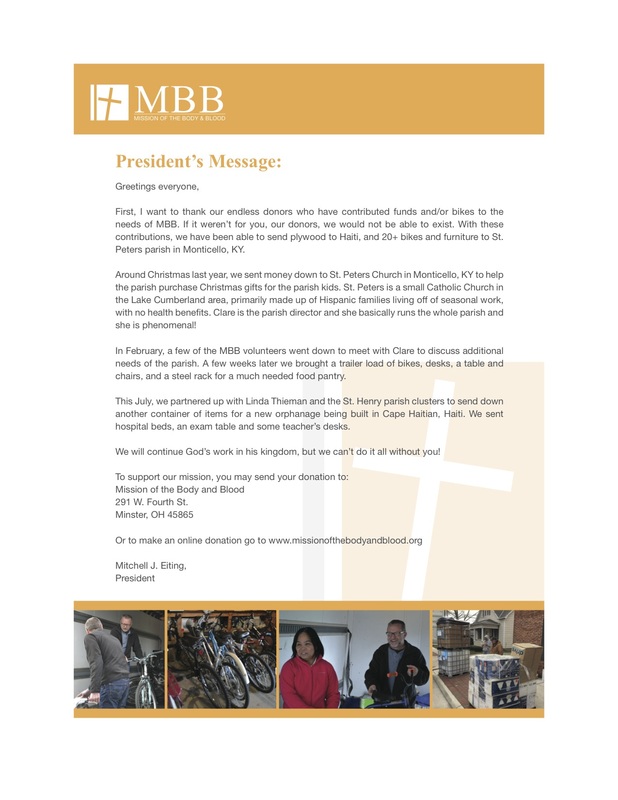 Spring is just about here and if you are replacing a bicycle please consider donating your old one to MBB. To donate your bicycle call 937-423-2394!